Income inequality is more rampant than ever, and while many billionaires choose to rub it in by flaunting vulgar displays of wealth, one of the world’s richest men is instead making a case for living life modestly: Warren Buffett has revealed that he always flies cargo instead of first class. It’s refreshing to see that at least one billionaire hasn’t let his money go to his head! 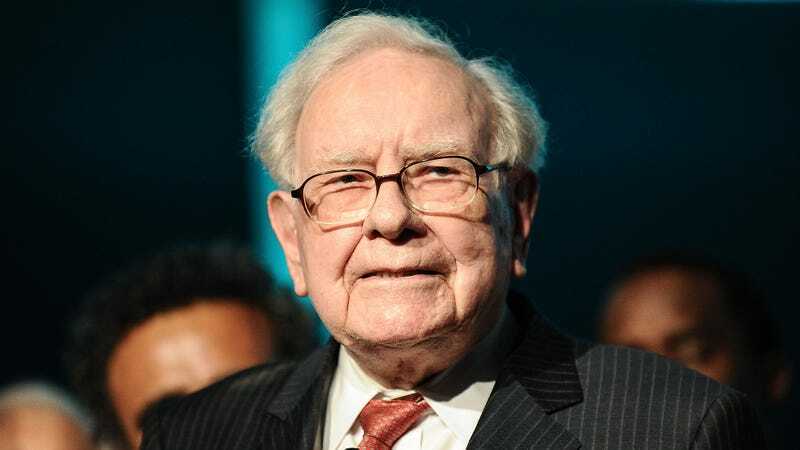 In a recent interview with Forbes, Buffett shared that whenever he flies, he forgoes the comforts of first class to sit in a crate alongside the luggage and pets underneath the plane. The 88-year-old investor explained that his decision to travel in the less spacious, bathroom-free cargo hold has nothing to do with saving money—he’s just perfectly content with the simple things in life. Whether it’s an hour-long domestic flight or a 20-hour red-eye across the globe, Buffett sees no reason to waste hundreds of dollars on a luxury seat when he could instead donate that money to charity and be just as happy flying crouched in a large dog carrier with a Xanax and a 2-liter bottle of Coca-Cola to drink along the way. Coming from someone who could easily buy an entire fleet of private jets, it’s amazing to see that Buffett is still so down-to-earth. Take note, 1-percenters, because this man’s lifestyle proves that affluence and humility don’t need to be mutually exclusive. Kudos to you, Mr. Buffett!